Chicka Chicka Boom Boom by Bill Martin, Jr. and John Archambault is one of those tried and true favorites for parents and teachers alike! 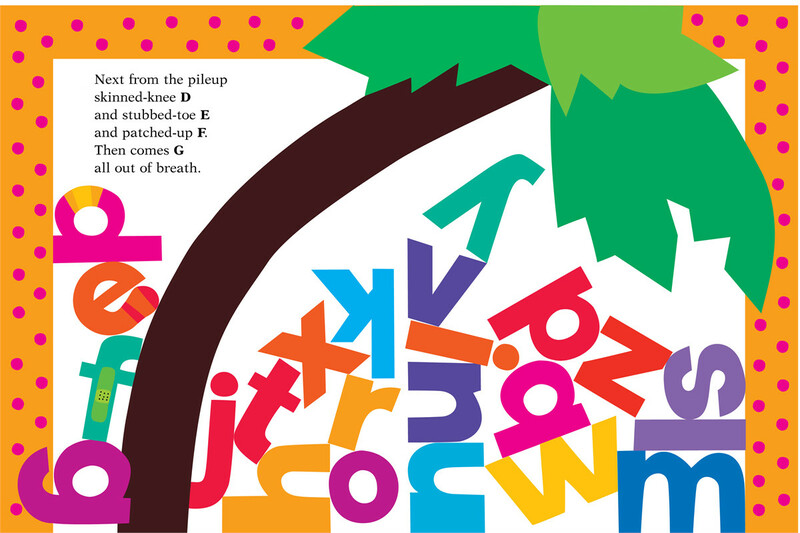 Take an adventure with this lively alphabet as they skit skat skoodle doot to the top of the coconut tree. But be careful, will there be enough room? Delight as each alphabetic character scampers up the tree and as X, Y, and Z join in the fun causing the all their friends to topple to the ground. Poor stubbed toe E and black eyed P.
Will this battered alphabet let a few bumps and bruises get the best of them? Of course they wont. As the sun comes up invincible letter A leaps up and double-dares his friends to another race to the top of the coconut tree! Chicka Chicka Boom Boom is a perfect book for summer or the beginning of the school year to help your preschoolers and kindergartners practice their letter identification. This book is a great springboard into the alphabet. I find there is never a shortage of creative ideas out there to get those little minds thinking about the alphabet when it comes to this classic book. 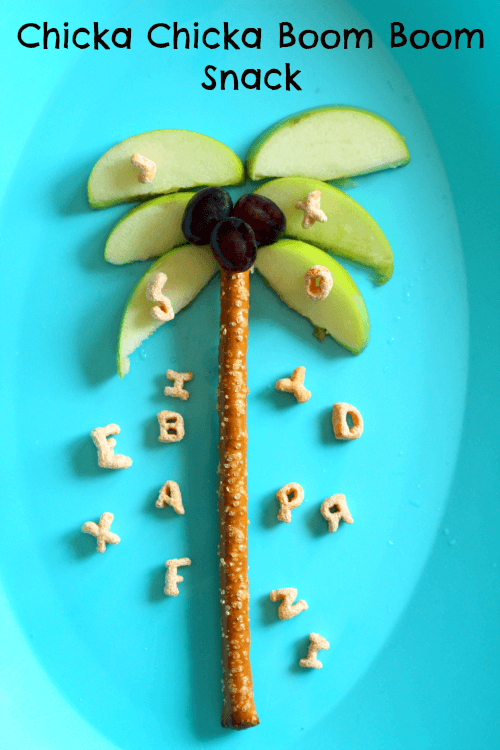 Grab a cookie sheet and some magnetic letters, add some palm fronds and a trunk, and let those little fingers build a coconut tree! Great for practicing letter recognition or counting letters as they’re placed on the tree. Work on letter recognition with this fine motor skill activity by providing colorful pipe cleaners and an alphabet chart and let those little fingers build the alphabet! I love these little math mats since they combine both math and literacy! Always a win-win in my book when you can combine these two subjects in a fun and engaging activity! Have kids practice letter recognition as they practice adding and using ten-frames. Found on Fun Leaning for Kids. STEAM is an acronym for Science, Technology, Engineering, Art, and Math. Use this STEAM activity to get your kiddos thinking about the 4 C’s: creativity, collaboration, communication, and critical thinking. 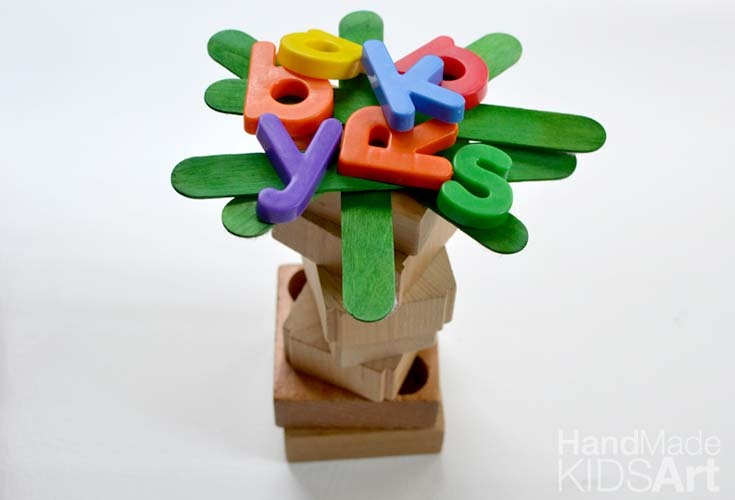 Have your kids work in pairs and challenge each other to see which team can build a Chicka Chicka Boom Boom tree that can hold the most alphabet letters without toppling. Work on those fine motor skills by having your kiddos trace and cut out the trunk and leaves for their very own coconut tree! Of course they will be practicing name and letter recognition with this little craft. If you don’t know Jack Hartman, you should! Check out his Chicka Chicka Boom Boom Brain Break to incorporate Large Motor Skill and a fun Brain Break into your day. It’s a perfect song to get those little bodies moving to break up a long day of learning! Turn snack time into math time with this Chicka Chicka Boom Boom snack. Have your kiddos count out each ingredient! then sprinkle on some alphabet cereal and have them count them too! That’s it! You have yourself a snack and math lesson all in one! Love your ideas for this literacy unit! And love Chicka Chicka Boom Boom!